Earth City, MO – (11/28/12) Super Bright LEDs, a global leader in cutting edge LED technology, introduces their newest line of High Powered LED Light Bars and Auxiliary Lights. Designed for On and Off Road vehicle use, each waterproof light produces extraordinary light output, are highly efficient with a low power draw, and have an operation lifetime of up to 50,000 hours. Each light is IP67 (waterproof) or IP68 (submersible) certified and composed of a lightweight, durable aluminum housing with a virtually indestructible polycarbonate lens to provide years of reliable service. This superior casing will protect against scratches, rocks & debris damage in even the most extreme On and Off Road conditions. A variety of beam patterns are available with Spot lights down to a narrow 10 degrees, and Flood units up to a broad 130 degrees. Light intensity’s span from 300 to an incredible 5,400 lumens. Available in round, square, oval and rectangular shapes in sizes ranging from 4″ to 21″. This new series of lights will accommodate just about any vehicle, space and lighting requirement, with prices starting at just $39.95. Combine units together to get the ultimate lighting solution for your vehicle. These new High Powered LED Light Bars and Auxiliary Lights are ideal for a variety of vehicles used for Off Road, Recreation, Emergency / Rescue, Law Enforcement, Road Maintenance, Agriculture, Industrial and Commercial, as well as Marine applications. Super Bright LEDs is committed to providing their customers with outstanding service and the highest quality products in LED lighting. They work to continuously develop new product lines in a variety of markets including Automotive, Household, Industrial, and Recreation. 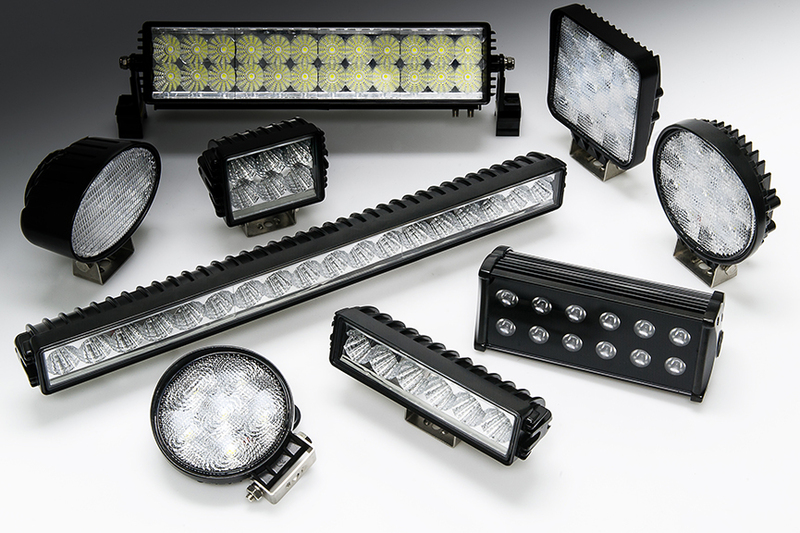 For more information on these economical High Powered LED Light Bars and Work Lights, or other LED lighting products, please visit http://www.superbrightleds.com.